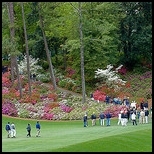 The exclusive and private Augusta National Golf Club has hosted the annual Master’s Tournament since 1934. 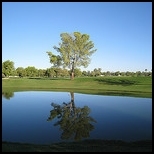 The membership consists of about 300 golfers and is by invitation only by the board. Visitors must be invited by a member to play. The Course is famous for its long fairways, superb conditioning and fine landscaping of dogwoods, redbuds, large pines and beautiful azaleas. Unfortunately getting to play Augusta may be more difficult than winning the lottery. Leopard Creek, which borders the Kruger National Park, was designed by Gary Player to blend in the natural environment with the golf course. The 18 hole course, opened in 1996, uses landscaping and architecture to preserve the natural habitat for crocodiles, hippos, lions, leopards, elephants as well over 200 species of birds while ensuring the safety of the golfers. The course is open to members, their guests and visitors to some locally designated lodges. Royal County Down, featuring the Championship Course is considered by many to be one of the most scenic courses in the world providing views of the Mountains of Mourne and running along the shores of Dundrum Bay and the Irish Sea. 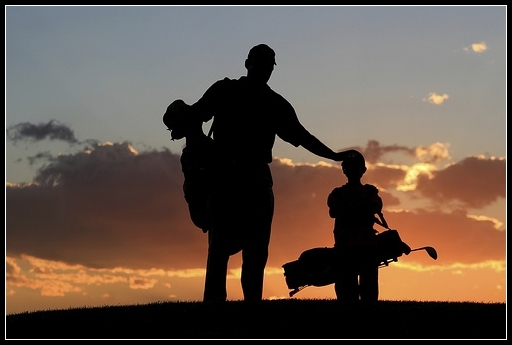 The Course is challenging and unpredictable and will test even the most experienced player. A second shorter course, the Annesley Links, is a little more forgiving and is also available to members and visitors. 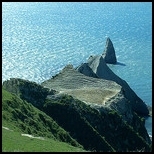 Cape Kidnappers, on the east coast of New Zealand’s North Island, was built in 2004. The Course, situated on 5000 acres of sheep country, is perched on cliffs hundreds of feet above the Pacific Ocean providing stunning views from almost every hole. The challenges to players include the ocean breezes, contoured fairways, tilted greens, steep bunkers and deep ravines. Over hitting a shot may result in golf balls at the bottom of the ocean. 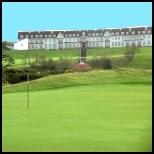 The Turnberry Ailsa Course, first completed in 1906, is located on the Scottish coast. The Course was used as an airbase during World War I and II and was rebuilt and re-opened in 1951 offering stunning views of the Isle of Arran, Ailsa Craig and the Turnberry Lighthouse. The Course has hosted several tournaments including the Open Championships, Senior Open Championships and the Women’s British Open. 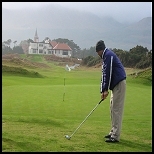 Turnberry has two other courses, the Kintyre Course opened in 2001 and the nine-hole Arran Course opened in 2002.